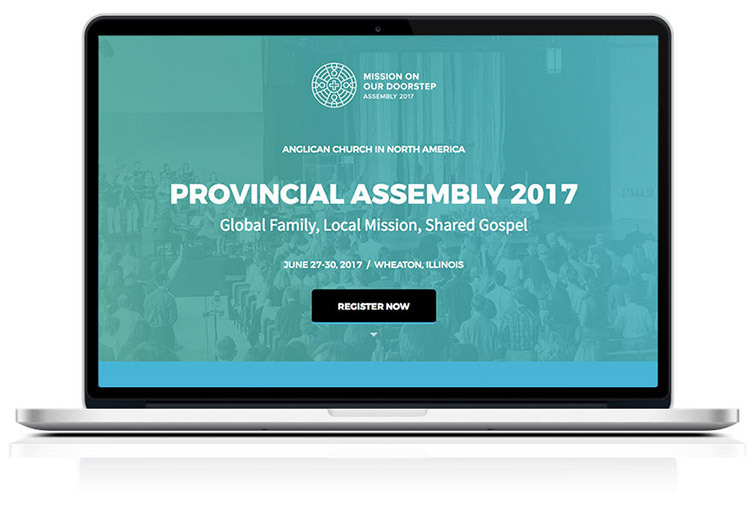 Every few years, the Anglican Church in North America gathers together leaders from around the world for a global conference. 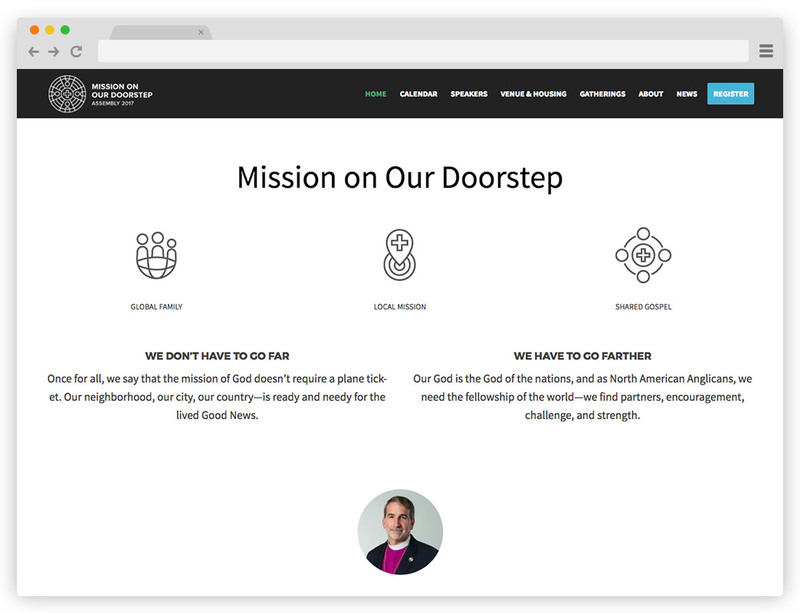 For this year’s event, the ACNA were looking for a comprehensive branding system for the conference – logo, icons, website, and print materials – that would enable a cohesive user experience. 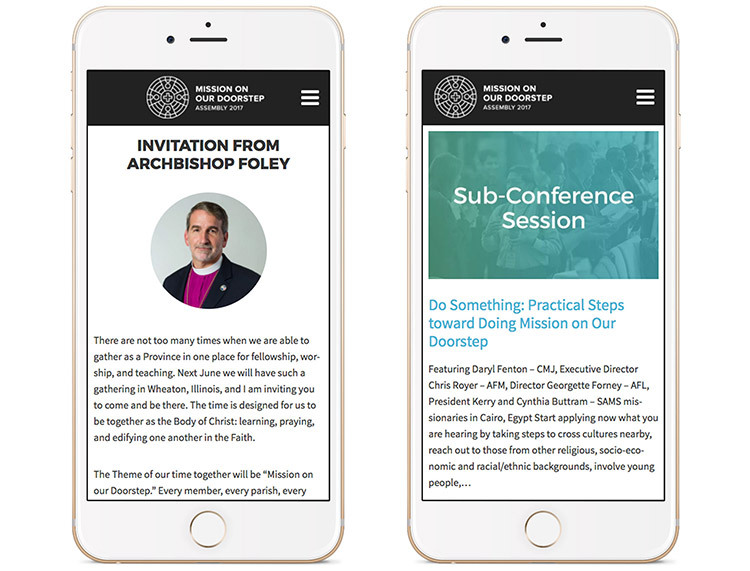 The website needed to be fully responsive (since many attendees would be checking it on their mobile devices), focused on events, and easy enough to use for many authors who would be publishing content on the site. I set up the design using the structure of a WordPress template and modified code to include all the functionality that was required. The website design was informed by the logo and brand I established.